Federal Allies: What trends and changes at USAID should federal contractors anticipate in the future? Vera: We have done a lot better working with small businesses for our domestic requirements. 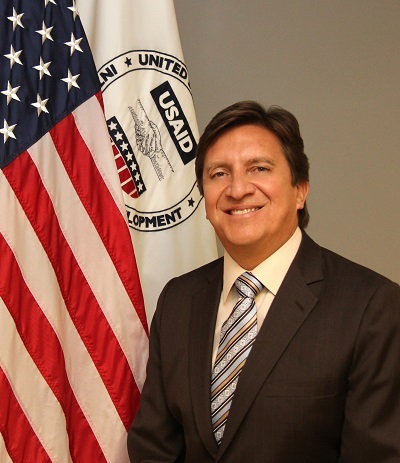 In the six years that I’ve been at USAID, we have almost doubled our percentages, i.e. the percentage of dollars going to small businesses. When I started here, about 8% of our domestic dollars were awarded to small businesses and for the fiscal year we just finished, it was over 15%. Our goal last fiscal year was 11%, and for FY 2014, our goal is 12.35%. We are now focusing much more on our overseas requirements, and that’s a much bigger challenge, given the difference in the regulations. It is much easier to hold our staff accountable domestically than overseas, given the way the regulations are currently written. So we now have some internal initiatives to encourage our missions to work closely with U.S. small businesses. We’ve recently set a new metric, an internal target, for international awards to small businesses. It’s a high level target that is one of our corporate objectives and thus gets the attention of the senior leadership of the agency. This just started a few months ago and we are trying to promote it to our missions overseas. And we’ve also started a training program for our acquisition staff overseas, that’s been ongoing for a year and a half now. Now that we have this internal target, we believe it’s going to really have impact on increasing small business opportunities overseas. 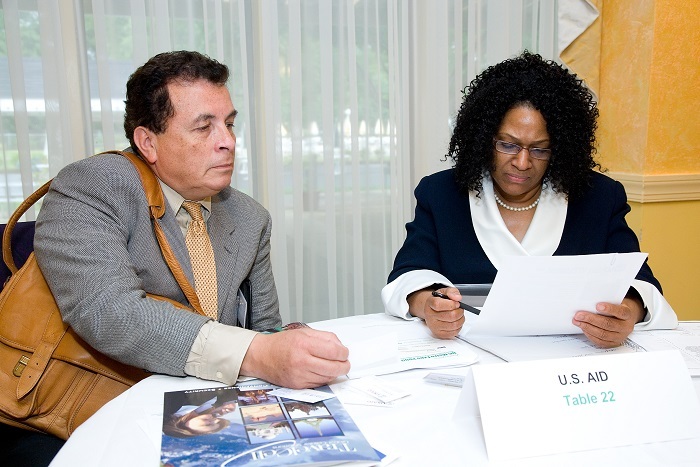 Federal Allies: How are you reaching out to small businesses internationally? Vera: We look for countries where our programs are not large, i.e. we have not focused our efforts in countries like Afghanistan, where we have a lot of resources, contracts are large, and where the operating environment is difficult. Many small businesses do not want to operate in our critical priority countries, where there may be a difficult security situation. The countries we have targeted for small business opportunities are ones where budgets are not small but are not huge either, e.g. $50 million to $100 million in a particular country. And if the leader of the mission is supportive of our initiative, then that also helps. For example, Liberia is an example of a country where we are doing quite well with small businesses, actually on a percentage basis they are doing better than we are doing domestically, because of the commitment of the mission’s leadership. So we try to target those countries. We also review acquisition plans to ensure that there will be small businesses that are interested in bidding. Federal Allies: For our Veterans, what are you doing to ensure that USAID reaches its 3% SDVOSB goal? Vera: All the agencies have statutory rates that are now negotiated for Service Disabled Veterans. It is 3% and for Women-owned businesses it’s 5%. Last year was the first time that we met and exceeded our 5% Women-owned small business goal. And for Veterans we are now at about 2.23%, again a significant improvement from the past for both categories. We are doing this by focusing specific acquisitions on those groups, doing set-asides in each area and conducting targeted outreach to these groups. As a matter of fact, we are leading an inter-agency effort organizing the Veterans International Small Business Opportunities conference. It will take place on February 25 and will include the State Department, Millennium Challenge Corporation, Overseas Private Investment Corporation, and the US Trade and Development Agency. Federal Allies: Five years ago, Nuclear Regulatory Agency, Smithsonian, and US AID were among 25 agencies and branches of the military that attended the first events of Federal Allies Institute at Fort Myer, Virginia. Back then Federal Allies achieved its first mention in Congressional testimony by the Architect of the Capitol before a U.S. House Subcommittee on Economic Development, touted as a way to expand their current vendor database of small businesses. FAI has since broadened those relationships with the agencies, scores of congressional offices and travelled to many states to present our unique program and brand before many county, and state economic development program boards, governors’ offices and setting up new chapters. As FAI grows across the country to promote federal acquisition best practices, do you see value in a privately-funded non-profit association such as Federal Allies making these connections that net federal agencies with more small business competition for federal contracts? Vera: We have found these types of organizations and events valuable. 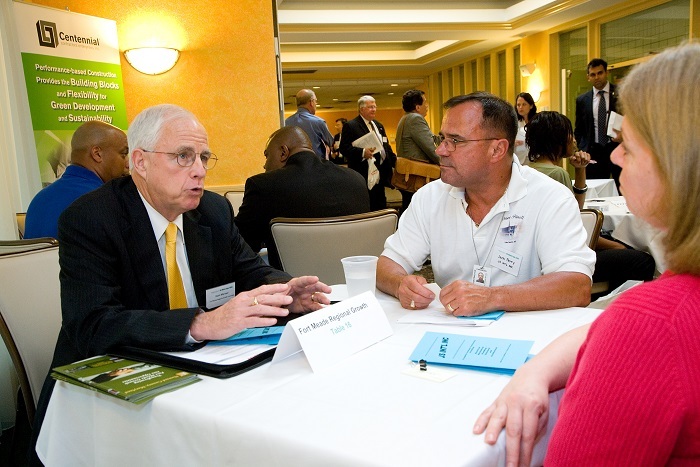 We found a lot of small businesses to work with us around the country. We do have budget constraints for travel so we try to support these events as much as we can. Federal Allies: What’s next for you personally? How will you continue helping the federal government reap the value of small businesses? Vera: I always tell people that I consider myself very lucky because I have a job that I love and work for an agency that I love. Our mission is very special and I’m honored to work with incredibly bright and talented people every day. Our mission is truly special: to end poverty and improve the lives of people around the world. I’ve always been very passionate about helping small businesses and I continue to wake up every morning excited about doing this work every day. As I mentioned before, we’ve improved a lot domestically and our challenge now is to do this overseas. So I plan to do this as long as I can continue to be successful at it. Maybe in a few years, when I retire, I will try to start my own business. I thought about doing that many years ago, but decided against it so I could help raise a family.